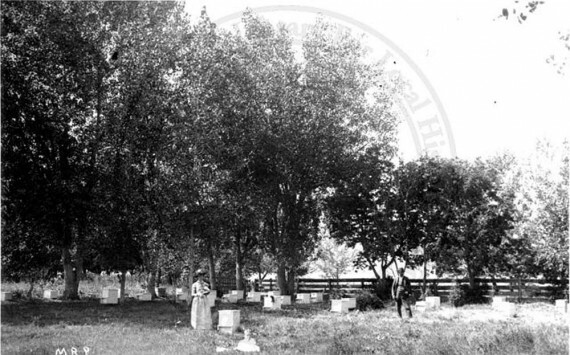 In the late 1800’s and early 1900’s Boulder County was a major center for honey production in Colorado with a number of large commercial producers. In addition to large commercial operations most agricultural communities had one or more “community beekeepers.” These were individuals or families who secured all or part of a modest living through beekeeping. In the process of producing honey, beekeepers provided valuable pollination for orchards, gardens, field crops and wild plants. During this period Boulder County honey was shipped east by the carload as it was considered a great delicacy. Beekeeping has declined significantly here in the past 50 years and yet there remains a healthy community pursuing this arcane craft in Boulder County. The majority are hobbiests while a handful would qualify for the term “community beekeeper.” Most support their beekeeping or supplement their income through the sale of honey products in excess of their personal needs. Fully one third of all we eat is dependent upon honey bee pollination. But beekeepers are struggling for survival in the face of changing land use, heavy use of agricultural pesticides and a market flooded with foreign honey. Your support of local beekeepers will help to keep alive this old and intricate craft as a part of the region’s agricultural heritage and bring to you the enjoyment of a honey long regarded as one of the finest in the United States.